Men's jumper from Hugo Boss Orange. Hugo Boss Orange Jumper, Blue Contrast V Neck 'Abill' Knit is a casual essential for your wardrobe. 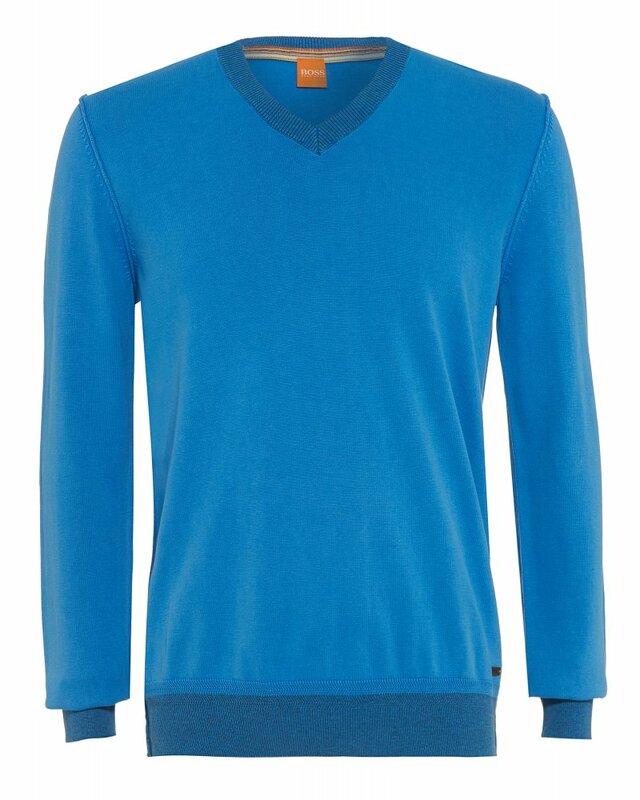 Royal blue jumper is made from pure cotton with a ribbed v-neck. Detailed with a contrasting ribbed collar, hem and cuffs in washed, darker shade of blue. Wear on its own or over a Ralph Lauren jumper with For All Mankind jeans and Grenson shoes for a smart evening look.